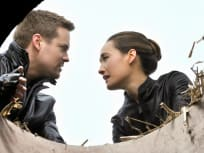 NIkita and Owen must go up against a rogue agent while Michael gets a new position with Division on Nikita. As Nikita returns, Birkhoff reveals who Amanda's mole is while Michael has a confrontation with Alex. On Nikita, while trying to catch Amanda, Nikita and Michael use an arms dealer as bait while Alex starts to unravel. 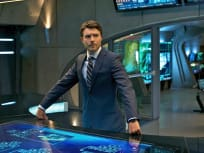 On Nikita, when a former Division agent and current President of Uzbekistan visits the US, Nikita attempts to capture him. 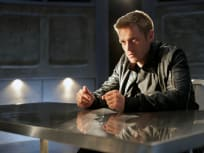 Owen is back on this episode of Nikita! He's shocked by all that's gone down without him around. On Nikita, an arrest leads Nikita to wonder why Division is continuing to investigate Percy's old mission. 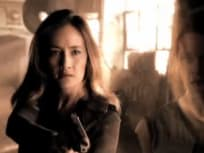 On Nikita, when a young girl is brainwashed to detonate a bomb to take out a target, Nikita attempts to save her. The new Division is on the hunt for The Dirty Thirty on the Season 3 premiere. How is Ryan doing as the new Percy? 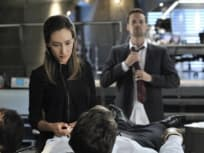 Nikita and Michael invade Division on the season two finale, while Alex and Sean get caught in a dangerous gun battle. Percy issues a threat on this episode of Nikita... to the President of the United States! Read on for a recap of "Crossbow."